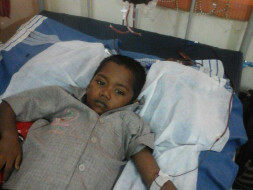 Help 6-year-old Jithesh fight thalassemia ! My friend Vijayakumar’s son Jithesh (6 years old) is suffering from a disease called Thalassemia and this can be cured only by Stem cell/Bone Marrow Transplant. 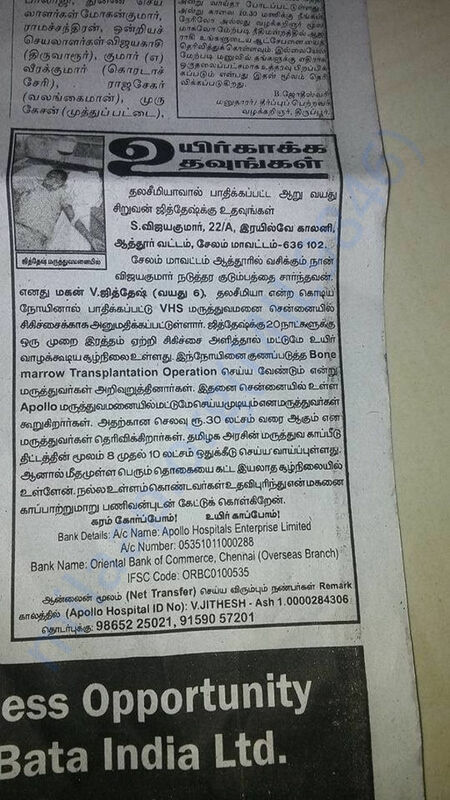 A donor has been found and Apollo Chennai has estimated the cost to be 30 Lakhs rupees for the transplant. 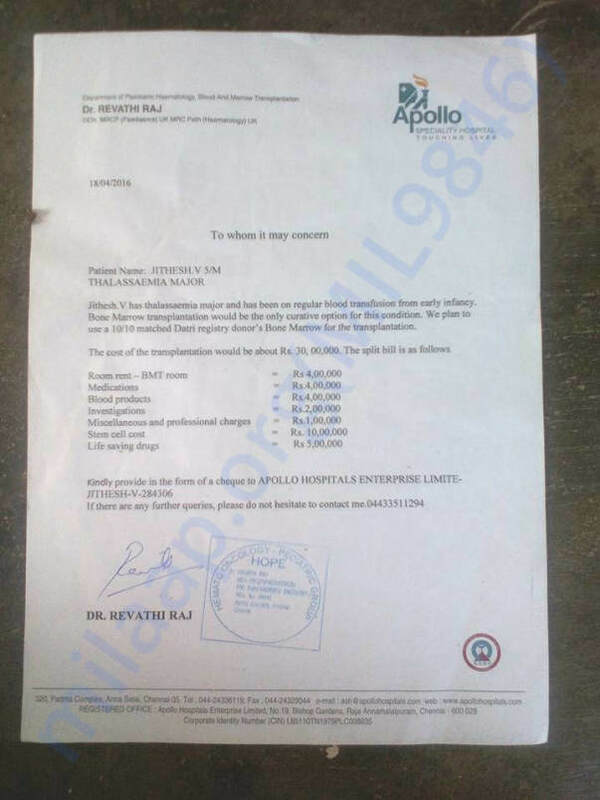 Tamilnadu Govt’s medical insurance will provide up to 10 lakhs and the remaining amount has to be taken care by my friend. My friend is from a lower middle-class family and his earnings are good enough only for the blood transfusion, which has to be done every 20 days and he is doing that for last 2 years to keep his son alive. Please help my friend as much as you can and any amount will be really appreciated. Please find the documents attached. Please click on the 'Contact campaign Organiser' button below to contact me or Vijayakumar. Please spread this message to your friends and families and my heartful thanks to you for saving a child’s life!